Since this stop is literally just a pull-off of Chain of Craters Road, I would classify it as wheelchair and stroller-friendly, haha. No walking necessary to see this crater! There are no restroom facilities nor water at this stop. I would plan to spend 5-10 minutes here checking out the crater. 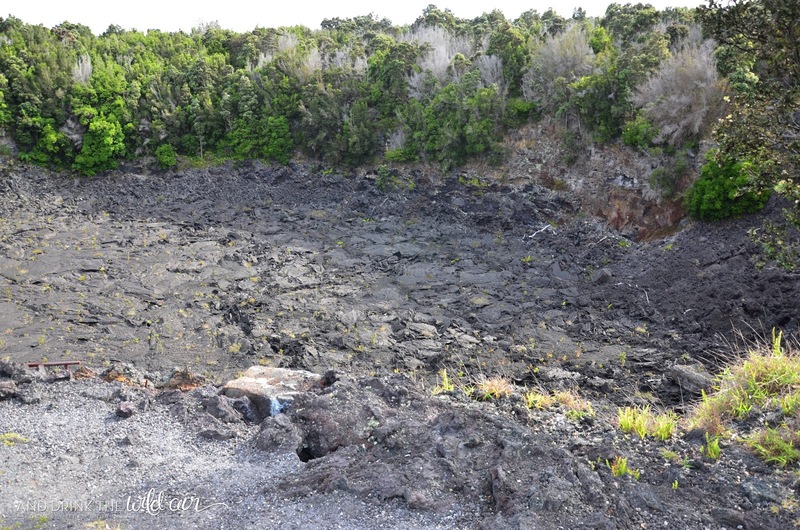 Welcome to the Chain of Craters Road portion of the driving tour! 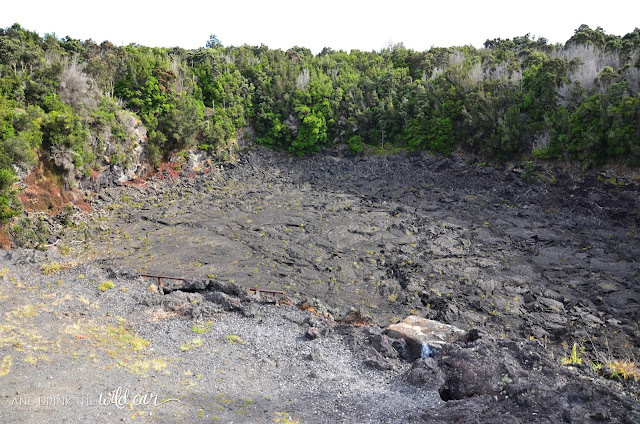 As you will see over the next few stops, it is definitely named "Chain of Craters" Road for a reason. Craters are as commonplace as the lava flows for the next few miles, and boy, do they put on quite a show! First up is Lua Manu Crater. 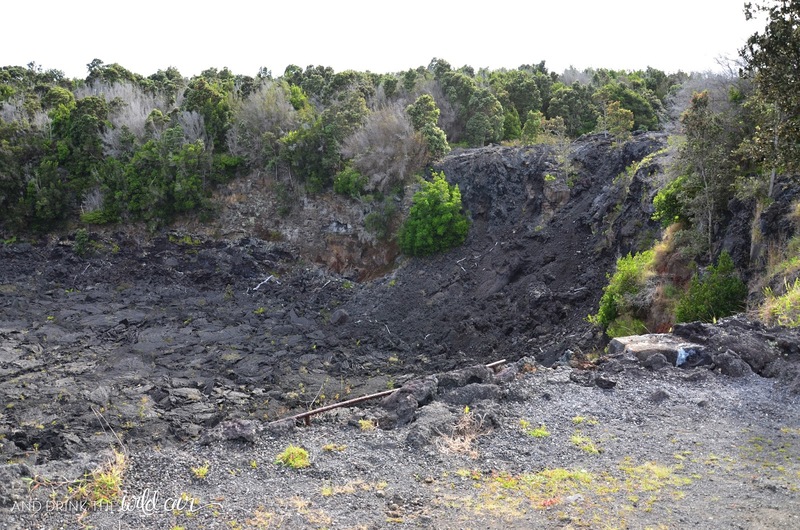 formed about 200 years ago when lava drained from a chamber beneath its surface which created a void, causing it to collapse into the crater you now see before you. It's one of the smaller craters (about 330 feet in diameter and 125 feet deep) along the way but it serves as a great "first taste" of what's to come along Chain of Craters Road. Back in 1974, Keanakako'i, now a crater west of Devastation Trail along Crater Rim Drive (the road to which has been reopened to foot traffic as of 2012 if you're interested in seeing it), began erupting and a fissure opened up close to Lua Manu. Lava poured into Lua Manu, but didn't remain long as it drained back out into another fissure. 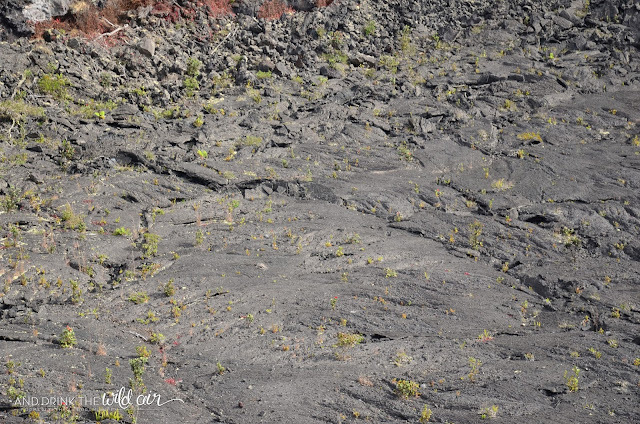 The lava reached about 50 feet up the crater and the "high lava" mark is still visible on the crater walls today. 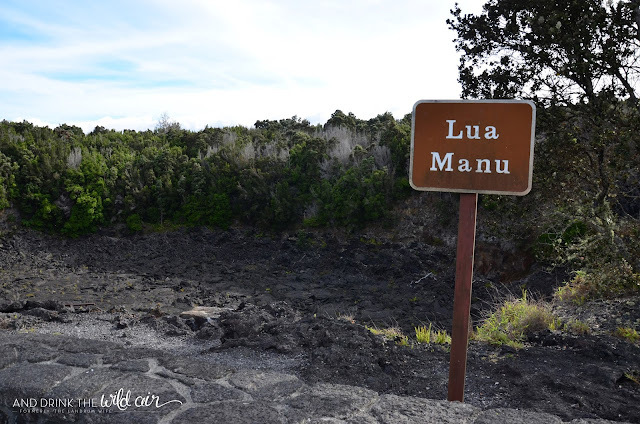 Like I said before, Lua Manu Crater may be on the smaller side, but it's a great appetizer for the craters to come along this portion of the driving tour. Up next, it gets better, so be sure to stay tuned for the Puhimau Crater on down the road! 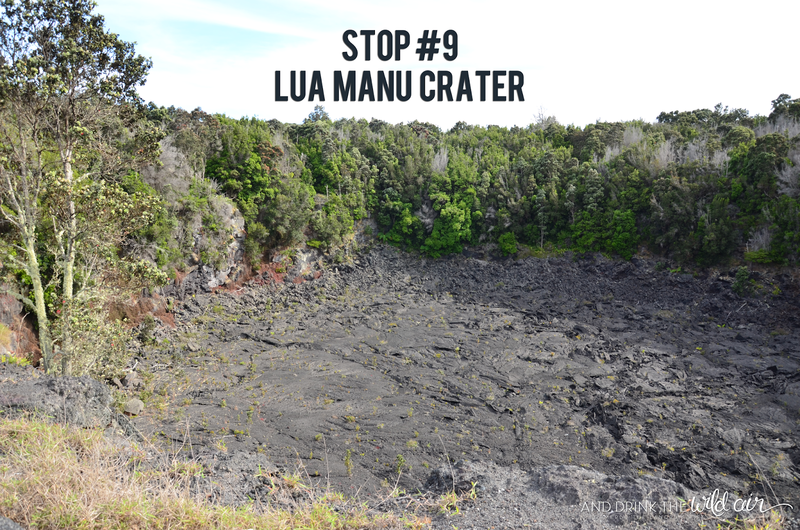 STOP 9: Lua Manu Crater <--- You are here!